What a wonderful holiday! I love holidays in WoW. Even in the game world, having decorations everywhere, doing daily holiday quests, or even hanging out at the special holiday event area feels distinctly festive. This year the feeling is particularly comforting - living in a country with a different culture from my own means not being able to go out and see holiday decorations (although USian culture is very popular here, so I am treated to Halloween without the candy, or Xmas without the family). The purely game-related reasons I love holidays are twofold. The first is the possibility for achievements. I`m always a little sad when I go to do quests or dailies and discover that I`ve already gotten all the available achievements. Similarly, it`s a bummer to realize that some are unavailable to me on lowbie alts. 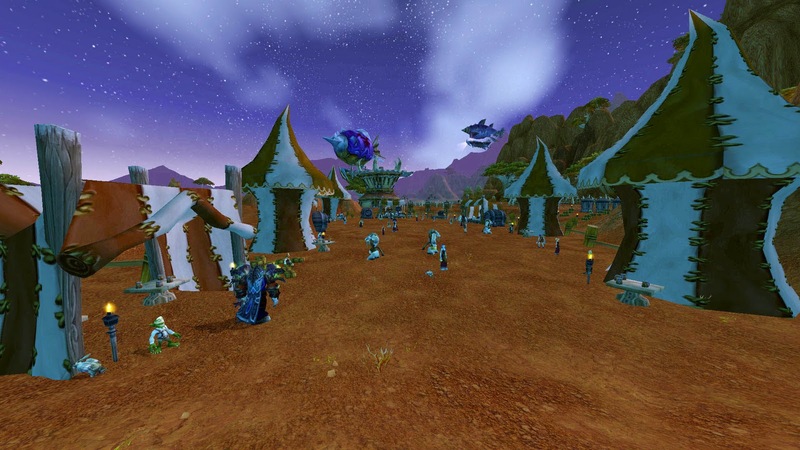 The second reason is the opportunity to rake in some extra gold or XP from quests and dailies. Because I am so neglectful of my alts, I always take advantage of easy XP boosts during holidays. 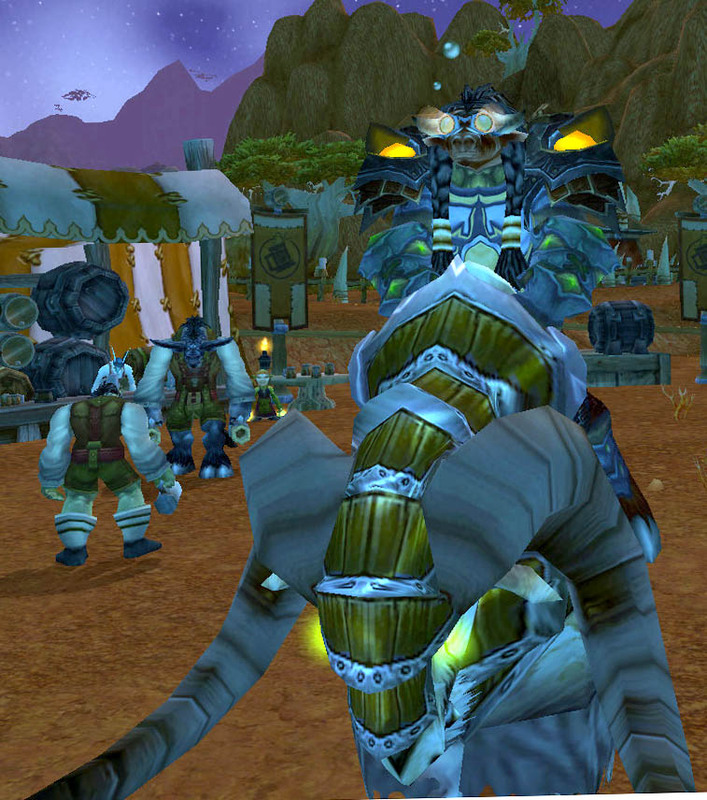 In this regard, Brewfest is both fun and disappointing! 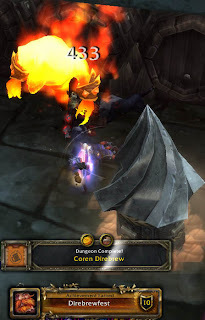 I did all of the lead-in quests: zapping the hallucination elekks, running rams, catching wolpertingers, chucking mugs at S.T.O.U.T., staving off Dark Iron invasions, and beating down Coren Direbrew. Sadly, aside from the Coren daily, the quests reward only Brewfest Prize Tokens and no gold or XP! 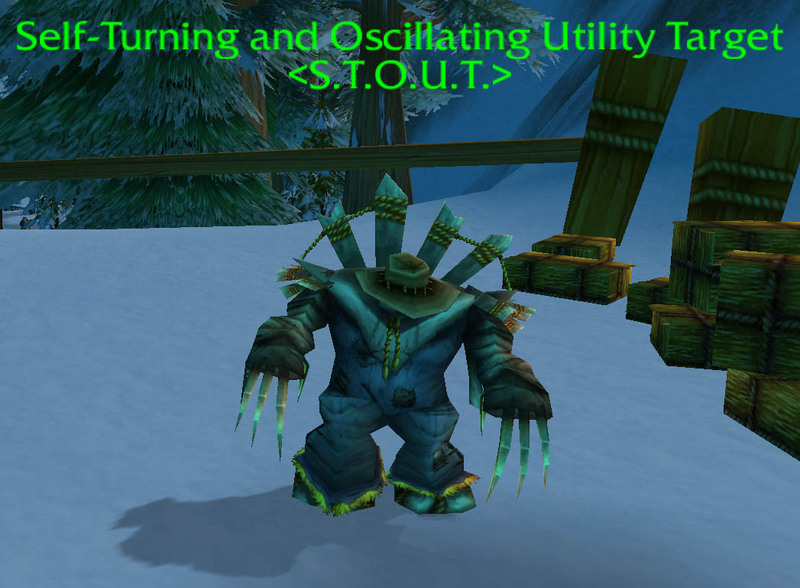 So, despite wanting to hang around Brewfest on my alts and soak up the atmosphere (right down to that incredible music), since I don`t particularly want Brewmaster on them, there`s no point! In good news, my freshly-80 pally has gotten upgrades for both of her terrible trinkets, the likes of which we shall never speak of again. 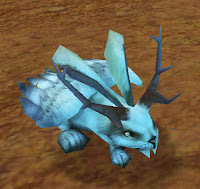 The Coren daily is also another source of frosties for my 80s, and although I don`t need them on Beko, they will contribute to my eventual Justice Points collection, and what`s more, I want the holiday kodo mount! The LFD change for the Coren daily has come up in discussion a few times lately. There are definitely some drawbacks - no more cycling alts through to get tons of chances for mains, only 1 daily chance instead of 5 due to lack of a summon quest, no passing or trading to someone who needs it, the agony of getting duplicates (or nothing at all) day after day. Still, I think the most important bonus is the ease with which players can now queue and port directly to the boss. On an oceanic server, and playing at sometimes unusual times, it can be hard to find 4 other people willing to trek down to BRD to do a holiday boss. Even if you can manage that, it`s likely that they have already completed their daily and screw you out of an opportunity (I remember tons of QQ over this last Halloween). Then, should anything drop, there`s always the one person who swears up and down that you should all Greed on things you need, then swoops in and Needs. Worse yet, you Need because you need the item and get lambasted for ninja-ing. So, overall, I think the LFD holiday boss change is amazing despite any drawbacks it might have. The loot table for Coren Direbrew has not been updated for this year. Since I am eager to gear up my paladin I do sort of wish that I could rock up, spend about 30 seconds pretending to tank Coren while he runs back and forth between the insanely geared DPS, and walk away with 232s or something. Still, for seconds` worth of a queue and minutes spent in the actual dungeon, level 200 trinkets falling from the sky ain`t bad. And since you can`t vendor them anyway, people who actually need them will get them, rather than it going to someone rolling for vendorspec. 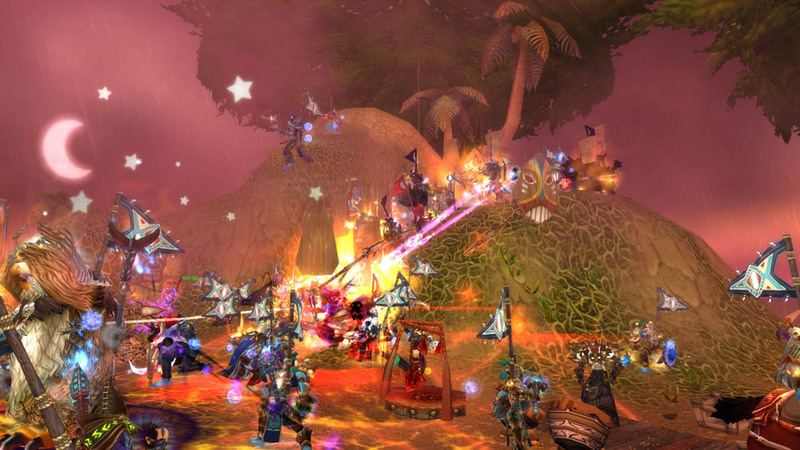 If you need a guide to the achievements associated with this holiday, WoW Insider has a guide here. Because they are not related to any achievements it is missing some quests that are sources of Tokens or other goodies. 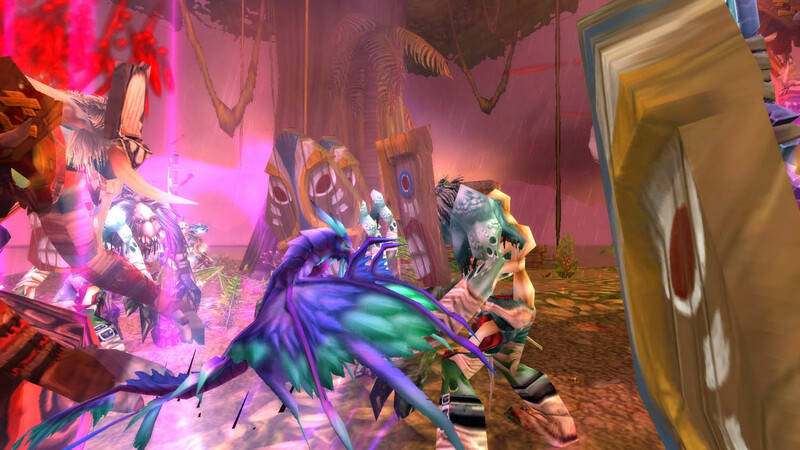 A complete list can be found on wowhead here. 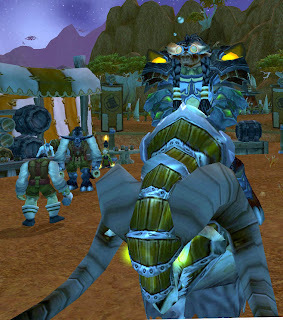 Also not required for the meta, but for pet collectors, a Pint-Sized Pink Pachyderm can be bought for 100 Brewfest Prize Tokens from the Brewfest vendor. Additionally, because I kept finding myself starting to do a quest/achievement and losing my buzz, I recommend you pick up a pair of Synthebrew Goggles. That way you won`t have to fill your bags with booze and keep drinking to maintain the required level of intoxication. And they are super stylish! Having finished up the massive chore that is Steamwheedle rep, I have turned my attentions to Darkmoon Faire and Ravenholdt. DMF definitely seems to be the more painful of the two, what with the high cost of materials (particularly the most in-demand herbs and Northrend cards) and the unpredictable drop-rate of cards. I made myself a very elaborate spreadsheet to keep track of what cards I have and answer various questions about rep and pricing. 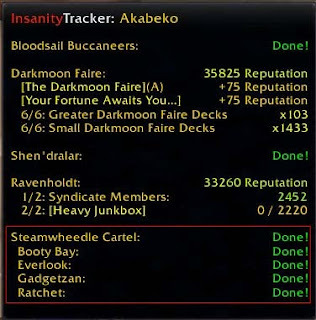 Some of the sections came specifically at the request of my fellow Insane guildie. You can check out the spreadsheet here. If you have a gmail account, you can easily use that to log into the zoho site and save a copy to input your own values. At the moment, my method is searching the AH and buying up any reasonably-priced cards (cheap decks are a pipe dream, sadly), then searching for motes/Primals of Life. I have decided to farm Outland herbs (a few mobs in particular). I get the feeling that I need to expand my purchases to everything falling under the price ranges I so helpfully worked out for myself, but for the moment I don`t have the addon to facilitate those searches, nor the gold resources willing to be spent. The closer I get to the end, the faster I want to be doe, but considering how long I`ve had this in progress (I won`t say "working on" because I have taken many breaks), I can wait a bit longer. Especially when I`ve got a million other projects (see [Cata] Bucket List above) in the works. And although I have the heart of a grinder, I have been known to grind out other reps to avoid working on more cumbersome tasks. Just last night I found myself in UBRS trying for the Wildheart chestpiece instead of farming Primals! This post contains no spoilers, unless you have been living under a rock and don`t know anything about the new playable races. Much to my surprise, I got a beta invite a few weeks ago. I had only just recently re-upped my sub at the beginning of September, having canceled it during the RealID fiasco. I like to think it was an olive branch after being vocal during that event, but I`m sure I was just lucky with the lottery. I have mixed feelings about having access to beta. 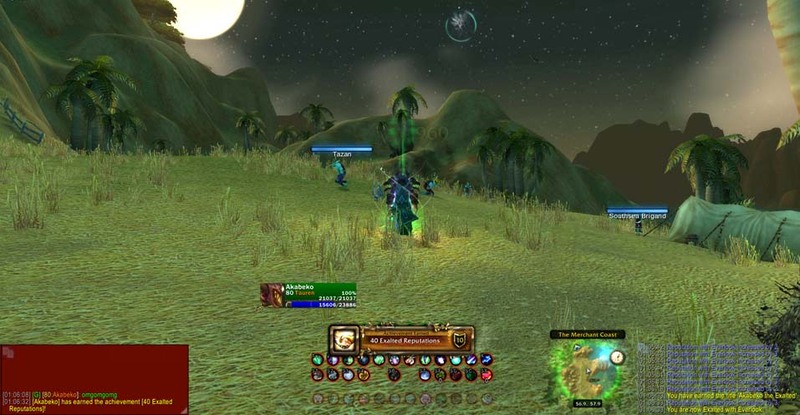 Although I crave information about Cata and will gladly read spoilers on MMO Champ, I don`t necessarily want to go to the zones and do the quests now. (It works out well, because battle.net gives me the finger every time I try to copy my main over) The only exception is starting zones - I often replay those even now. Which is why I keep making goblins and worgen. Unfortunately, I don`t seem to be able to find time all that often to play them! And although I am busy, when I`m not, I end up playing on live instead. With all the projects I`m working on (The Insane, in particular, other rep grinds, Loremaster on an alliance toon), I`d rather spend time working on them rather than on a toon that will disappear come Cata release. The last reason, probably the least pressing, is that I don`t want to get attached. For instance, I picked out a name for my future goblin and went so far as to level a placeholder to 10. On beta, it was taken, so I used a different name. Now I am super attached to this name and am having a naming crisis! It`s just as well that I named my premade pally Puffinz, so I feel just enough self-loathing when I log in that I won`t get attached. 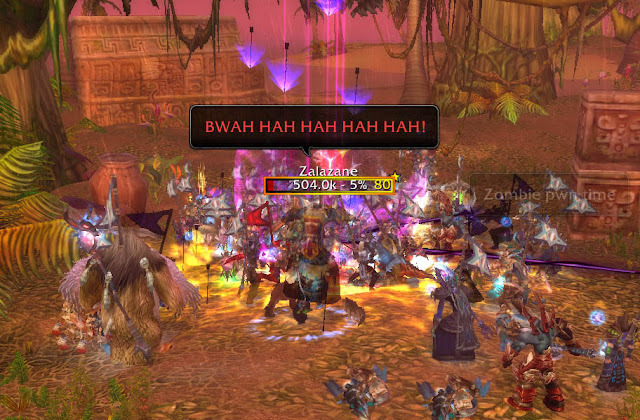 The amazing thing is that I logged in and saw level 85s everywhere, including goblins and worgen. 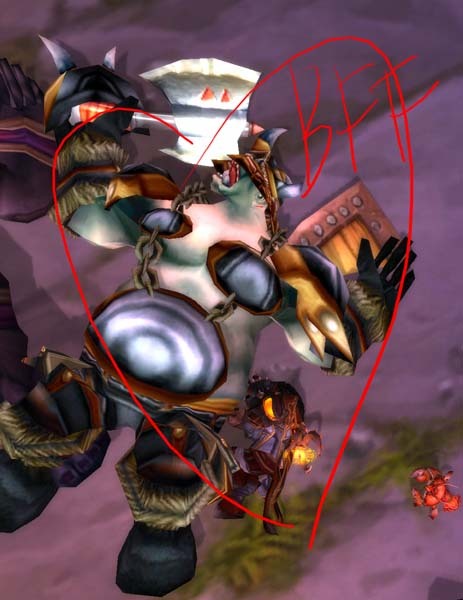 (I guess this only amazes me because I level very slowly and don`t spend much time playing beta toons) People were advertising for guilds, requiring knowledge of all the dungeons and heroics. At first I couldn`t help but think, "Why? What`s the point?" But I realize that this is the point of beta - to test out the new guild system and all that jazz. For some reason that makes me drag my feet - I`m not ready to start learning my way through new dungeons and their encounters! If I start exploring, will I still be awed when I fly through for real on Aka? At least ally side doesn`t feel quite as sacred, probably because deep down I doubt that my alt will ever see enough love to get to 80. The worst part is that I feel bad for having access to beta when I feel like I`m somehow playing it The Wrong Way. As it is, I`ll be replaying starting areas when I get a chance, so if nothing else I can give feedback on the quest log interface, spell training, leveling, and use, and those environments. Maybe I can even join a guild! I`ve done this quest on two 80s now, and I have to say that it`s pretty entertaining. The quests themselves are incredibly simple - go here, collect this, talk to X, take a taxi. There`s a reason why practically any level can complete everything but the final battle. Elements of the lead-up quests plot are particularly exciting: you meet the leader of the as-yet hidden troll druids and prove yourself to a spirit to curry it`s favor. If this foreshadowing for Cata changes isn`t exciting enough for you, at least the final battle will be! Not only is the event itself fun to do, but defeating Zalazane and reclaiming the islands is the setup for a home for the trolls! The battle felt a lot like a tour (I was particularly reminded of childhood haunted hay rides). Your tour guide Vol`jin leads you to Point of Interest 1. You watch the action with Bwonsamdi, then start chasing Zalazane around between islands, periodically killing watching other people kill adds. At one point you even get a tiki pet that fights! The end is so satisfying - Bwonsamdi appears and Zalazane is defeated and the day is saved! Unfortunately, characters lower than level 75 can`t get the quest for the final battle, and only some of my toons got rep rewards. For now I`m going to try to get my lock to 75 in time to do the quests as well. I wonder if the waiting before doing it again will make it less satisfying. I recently did Wrathgate on my second 80 and was extremely bored during the Battle for UC. Because I was the only one there I could start it right away, but I still had to wait for each section and wave of adds and what have you. Then again, it had been months since I did the original, and this event will only be around for a few weeks! Steamwheedle is done!!! I realize that I still have lots of pain in store for Ravenholdt and DMF, but I can hardly describe the sense of elation at never having to run Dire Maul for keys again. My methods up to this point took a meandering path. After finishing with Bloodsail, I began running DM for keys and librams. 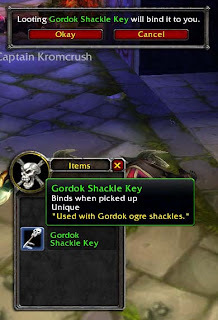 However, I had abysmal luck with key drops and hadn`t yet begun to appreciate even the measly 75 rep that Ogre Suits netted me. Simultaneously, I was watching the AH and grabbing up Pristine Black Diamonds and librams. Many of my PBDs came from my old east coast server and were from 50-100g. I`m not sure what they go for now over there, but on my new server they are around 400g. So I ended up getting most of my Shendralar rep items from the AH. When I hit Exalted with them I looked again at the Insane handbook. I no longer needed the rare diamonds or librams, and what`s more the hourly pirate rates were supposed to be better. So I moved out to Ratchet and the killing spree began. It really didn`t seem so bad at the time. In my moonkin spec I could put Insect Swarm on everything in range (even behind me!) and was able to make excellent time running across the top of the pirate hangout, down the slope nearish to Northwatch Hold, and then running back towards Ratchet. It was quick, painless, and dull enough that I could zone out chatting in guild or singing showtunes or what-have-you. Doing this brought me out of Hated (with Ratchet) a very important milestone. The Hated block is the longest consecutive rep section and it was incredibly discouraging to see it creep towards Hostile at a snail`s pace. So, I think just for sheer peace of mind, switching to pirates was not such a bad idea. I stayed there until I maxed out my Ratchet gains at 99% Honored. Feeling confident, I went to Tanaris next. The mobs are still easy enough to kill with one dot (by this time I had made my OS feral for old world soloing and was moonfiring in Resto). Because they drop mageweave in Tanaris, I started looting sporadically and ended up with a very nice stash for leveling 1st aid on my Cata alt. At first I was chugging the Volatile Rum to make bag space, but started sending it to my bank alt when I could. When it sells I can usually get about 5g per rum. The Tanaris pirates are less plentiful and have a slower respawn rate. 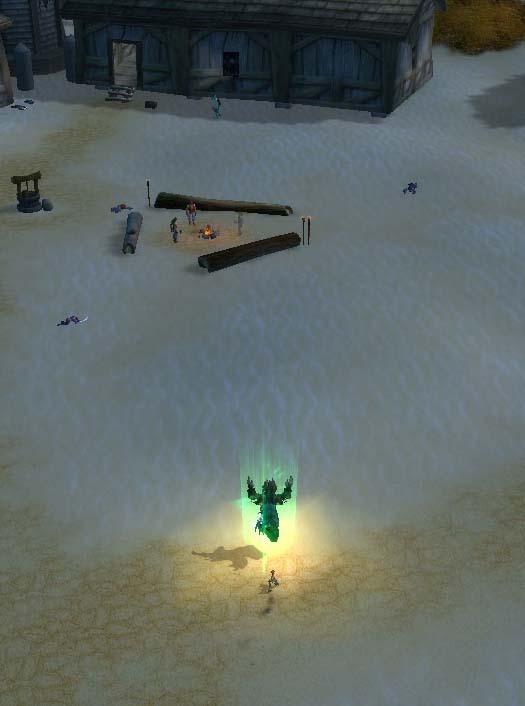 I think for my purposes this wasn`t necessarily a bad choice in grinding location, but it did have some downtime and more frequent lowbie competition (although I always invite hordies to help). When I hit 99% Honored with Gadgetzan, I moved to STV and started in on the Venture Co. population. This was a huge mistake. They are few in number, have a long respawn rate, and don`t drop much of anything. I made slow progress out here until my partner in insanity asked me about my progress. When I confessed my frustration, he told me that he had gone entirely from Hated to Exalted solely through DM runs. Reluctantly I allowed myself to be talked back into DM. This was an excellent idea. I amassed rune thread, bolts of runecloth, and rugged leather for tannin turnins and returned to the dreadful Kingdom of the Ogres. Luckily, the first few runs back were 1 or 2 key runs and served as positive reinforcement when the trend turned to 0 or 1 key runs. In my case, it seemed to be about 5 good runs followed by 5 disappointing ones. However, I could always turn in tannin, was getting tons of librams to send my friend, and was making a respectable profit thanks to my Argent Gruntling, Jeeves, and extra repairbots. My mailbox helped with librams as well. For a long time Guard Slip`kik was my BFF for keys. Whether I had Freed Knot or not, Guard Slip`kik would come lumbering around the corner and Bam! A key. Aside from him, I had good luck with the warlocks and brutes nearby, and occasionally with the locks near the tannin upstairs or the Gordok Bushwacker himself. The first and second bosses were consistently stingy. I had more luck with the trash near the first boss (I pull the entire courtyard). Everyone needs a good origin story. I remember sitting at lunch listening to a friend tell another friend about this cool game he was playing. She was interested, so they talked shop about the different roles and abilities available, and she expressed an interest in playing a warlock. I was curious too, but paying to play a game? I'll stick with the one time purchase cartridges. Or so I thought. They continued to wear me down (mostly by talking about their fun adventures in Azeroth) and finally I agreed to download a trial the week after final exams. At this point I had the two original friends, a friend from Japanese class, and my roommate and his girlfriend all encouraging me to play. Peer pressure, y'all - it works. I wanted to be a druid; when I heard about the tank-heals-dps options I originally wanted to level a tank (DPS are dime-a-dozen! I'm a special snowflake! etc) but was advised against it until I had learned the ropes a little. So, to take after my friend who was a resto druid in a progression raiding guild, I planned on a nelf. No, he said. If you play a female night elf I won't play with you. Well, male nelves were way too creepy for my taste, so I switched to a human priest. I thought the name was so clever (being a witty pun on my name and a mix of the two languages I study) until someone pointed out that it was the name of a person on a reality TV show. Well, leveling a priest is hard. Even now, knowing tons more about the game I still struggled through the first 20ish levels on my alt. So I struggled and my friends were never on when I was and finally my J class friend said, hey, make an alt on my server and I'll talk to you! 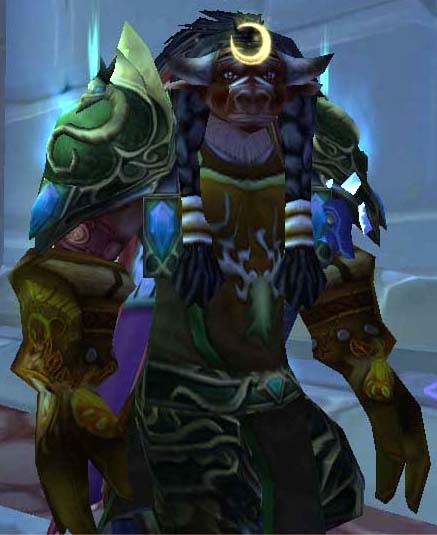 Thus was born Akabeko the tauren druid. My friend sent me 50g (!!!!) and said that if I made it to level 30 I could get an invite to her raiding guild. So, I killed quillboars (and was killed by quillboars) and begged my friend for help on group quests because I was too afraid to ask in general chat - although now I realize that there may not have been many alts in the zone, and even less willing to help. At her suggestion I leveled feral and got lots of advice on gear stats (like, even into Outlands I was asking about quest loot). I joined her guild and made some friends and got to 70 just a little while before WotLK was to be released, and I abandoned the miserable priest I had languishing on my first server. There is, of course, much more to the story that I hope to talk about. For now I'll say that I hit max level, respecced to resto, and began healing dungeons and heroics (and was even carried through Kara <3 ) and Aka became my beloved main. Technical stuff only at the moment. I've got a few posts written already but for now I want to enjoy the process that is making headers, layouts, icons, and more for this fresh new blog. 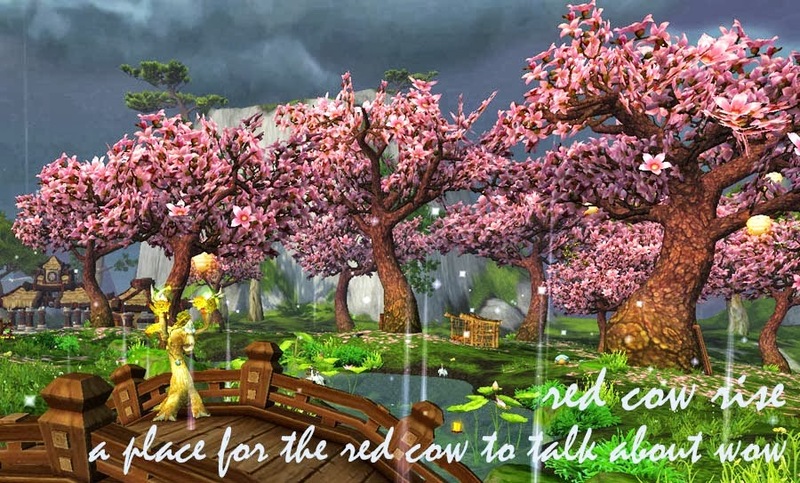 Well, assuming I can tear myself away from farming Steamwheedle rep for long enough to get into Photoshop.